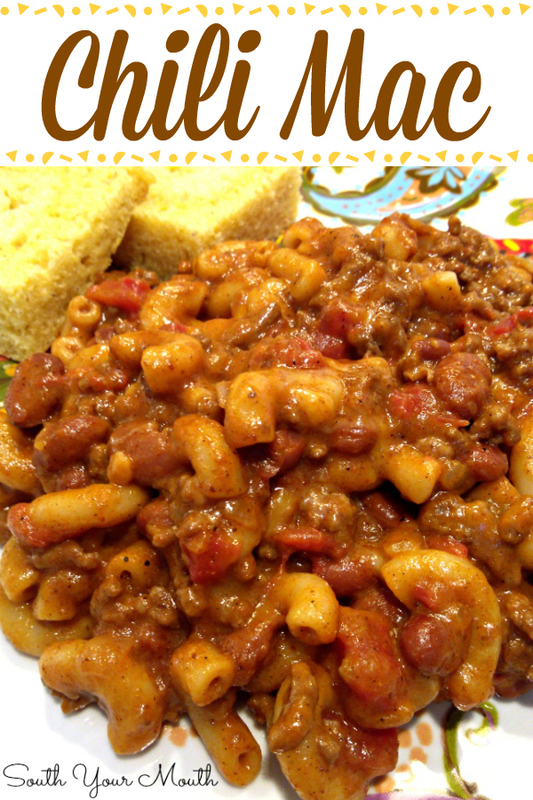 Creamy, cheesy, easy Chili Mac recipe with ground beef, chili beans and seasoning, macaroni pasta and gobs of cheese. Me: It’s like chili and macaroni & cheese mixed together. Me: YES! You’ll love it. Now, get out of here! You sound just like your daddy! Husband: Is that even a thing? Me: Oh my God! Have you been talking to Brutus? Me: Because the apple don’t fall far from the tree, that’s why. OK, I’d never heard of it either but I kept seeing it on Pinterest and thought it sounded like a pretty good idea! I really liked the idea of stretching one meal into one big meal that we could eat off of again later in the week. Which is exactly what we’re going to do! Especially since my two mens absolutely loved it. Like I knew they would. I actually don’t think macaroni and cheese has anything to do with it but if it has macaroni noodles in it and it has cheese in it, that’s close enough for me. I made this much like I make my chili then just added macaroni noodles, milk and cheese. And voilà (or as folks around here like to say: wa-lah)! All of the recipes I've seen call for water instead of milk but I figured it would make it creamier and cheesier and more “mac and cheesy” to use milk so that’s what I did. If you don’t want yours to be “mac and cheesy”, just use water. Season ground beef and onion with salt, pepper and garlic powder and brown in a large skillet (or pot) until meat is cooked through. Drain fat then return to skillet. Add remaining ingredients except half of the cheese (reserving one cup for later). Stir well, cover and bring to a boil. Reduce heat to low and cook, covered, for 15 minutes; stirring occasionally. Turn off heat and let skillet rest, covered, on the burner for 15 minutes or until liquid is absorbed and noodles are tender. Stir again then top with remaining shredded cheese to serve. *Chili beans are just pinto beans with chili seasoning. If you can’t find chili beans, just use a can of your favorite beans. I'm loving many of your recipes. Just wondered about this one. In St. Louis, we make chili for one meal. Then later in the week, we cook up the macaroni, re-warm the chili. Mac goes in a bowl, chili on top and then we just add as much or as little cheese as we like. I thought I'd share. I think I'll try your recipe. We recently made your Creamy Parmesan Rice. Phenomenal. Thanks for sharing. Holly G.
I make a similar dish, but it's because my chili is to spicy and husband complains about the heat. So, to tone his down, I add the macaroni, cheese... or sour cream, depending on what we have on hand and how much cooling down he says it needs! Love your blog! Follow every post and try many of the recipes. Real family food! But after spending YEARS listening to my son practice his viola (the violin-like instrument) I had to tell you that the french word you're looking for is " voilà ". The pronunciation is right on but it sure is a hard one to visualize. Loved the chili mac, it makes me look forward to fall meals. Ha! You're right! I fat-fingered that one! You probably love that as much as I do when people walk around saying, "WA-LAH!". I always melt mozzarella on top of mine. My mother made this dish (Chili Mac) for her 5 kids way back in the 1940's. I think I'll try your recipe and see if it's as I remember. I'm 79 - so many years ago to remember. I just recently found this site and I find it very interesting. I'm going to try melting the mozzarella on top per Suellen. Never gave it a thought. Is there anyone out there who'd like to be a pen pal to an elderly lady out here in Arizona? I also like to go fishing. Hey Eleanor! Would love to be a pen pal! I live in Northeastern TN and am not young myself (65), but still think like I am! Would love to hear from you! 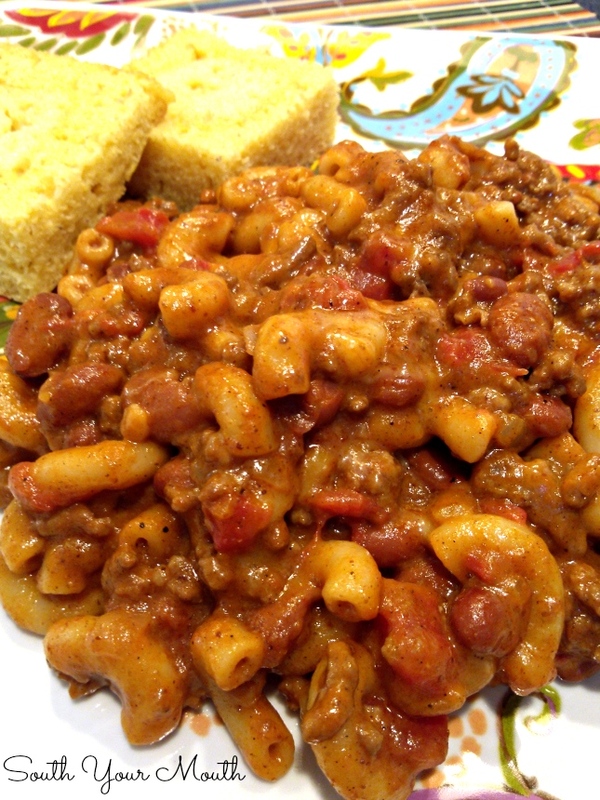 Mandy:Love that recipe; we used to have chili mac as a kid and still do as an adult. Even my granddaughters love it. Glad you found it and hope all enjoy it ! Love this especially in the winter. Like to add a can of whole kernel corn or shoe peg corn to mine. So the noodles cook in the sauce not water? Sounds like a dumb question, sorry -- just wanted to be sure I don't mess up!! Yes, they cook in the sauce. I always cook them el dente first, then add the rest of the ingredients. May try Mandy's way. Had it for supper last night. Boys and I doing fall cleaning, so this was quick and easy. My husband (who's first wife relied entirely on boxes and cans when making dinner) used to feed their little family Hamburger Helper. One of my husbands favorites was their 'Chili Mac' flavor. I don't do boxes. Especially boxes full of salt and questionable chemicals (I LIKE to cook). So I started making it from scratch. At first, the kids (who were still in single digits) wanted nothing to do with my not out of a box casseroles, my made in a sauce pan with real ingredients cocoa or popcorn, or fresh veggies. They got over it, lol. And a big YES on the wa-lah getting a body crazy! Can I use crumbled sausage instead of ground beef? I modified mine with a 10 ounce can of tomatoes and green chilies. I didn't have ground beef, so I used what's in my deep freezer from this past winter, a pound of lean turkey and a pound of ground pork. It actually tastes pretty good so far. The pork gave the turkey the added fat and it cooked down with great flavor. I have yet to pass the taste test with my teenage stepson. He's been out to a color run and boating on the lake with his cousin, so I'm sure he'll just be happy to eat! When my husband gets home from his night shift, I'm sure he'll devour it, too. When I was in the military, my favorite MRE was chili mac with the packet of jalapeno cheddar and bottle of tobacco. If only I could have had it homemade! I am so going to try this. 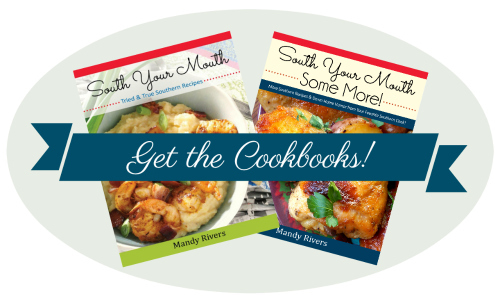 You have awesome recipes. Keep up the good work!